We often refer to you as our sweet one. Concerned with how other’s feel, if someone is hurt or sad, you sympathize and try to console them. You love to do little acts of kindness to make someone smile. When I opened the door this day to welcome you little ones home from your walk with your big sister, you were there holding out the flowers you all had picked for me. And you made me smile, sweet Emily. 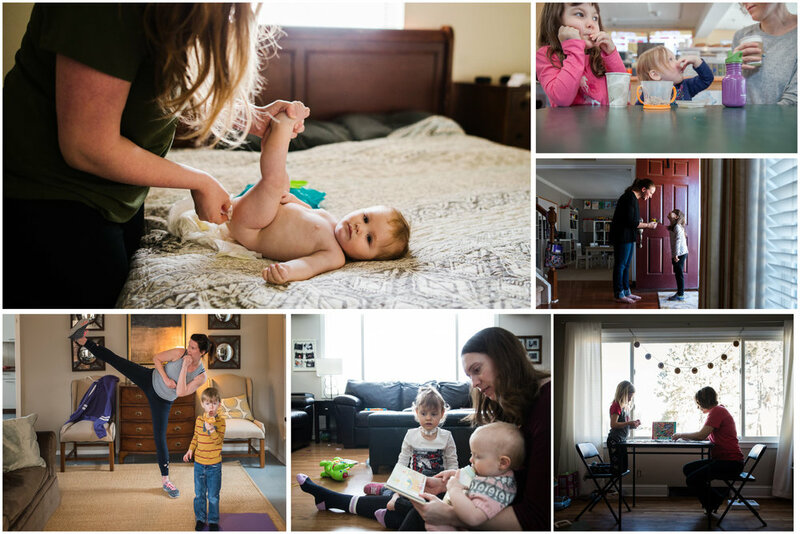 For a second year, I'm joining a group of fellow documentary photographers as we share what one specific hour looks like in our lives. This year, we're challenging ourselves by getting in the frame ourselves! The project's called "Around Our Clocks." Be sure to visit Cody Farrall next (if you follow the circle completely, you'll end back here)! If you would like to see all of my images from this series, click the projects button at the top of the screen.